How Do We Read the Bible as the Unfolding Story of God? I worry that we unwittingly read the Bible in a jumbled way. Many of us grew up memorizing bits of Scripture and are accustomed to absorbing individual Bible verses outside the context of the larger narrative of Scripture. 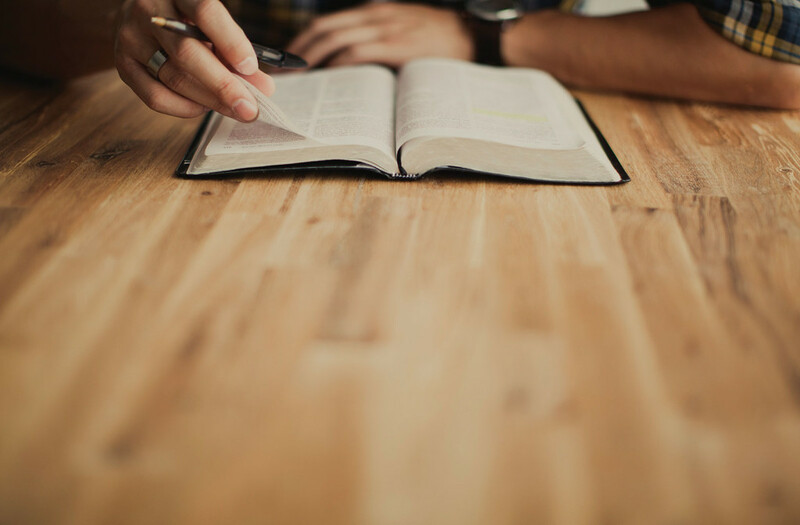 Approaching the Bible in this way risks distorting the Bible’s teachings into the shape or image of the reader, rather than the image of Christ. Read more in Part 1. So, the Bible is about God—his story of Creation and Redemption—and application of the Bible within the Christian life is a matter of living out our part in that larger storyline. But how do we read the Bible as the unfolding story of God? First it is helpful to note that modern readers are not the first ones to ask this question. Jesus, after his resurrection, made it very clear to his disciples that all of Scripture fits together because in some way it relates to himself. In Luke 24, Jesus opened the eyes of his disciples so they could see that the law and the prophets (the Old Testament) were about him and thus demonstrated the importance of reading the Old and New Testaments as the unfolding story of God’s work in Christ. In the same way Christian interpreters such as Irenaeus, Augustine, Calvin, and Edwards all wrote about the unified structure of Scripture using some form of what might be described as biblical theology. Reading Scripture with a “big picture” framework was not only encouraged by our theological forebears, we also find a number of indications within Scripture that the Bible, as it were, sees itself as a unified narrative. Richard Bauckham (“Reading Scripture as a Coherent Story,” in The Art of Reading Scripture) argues that a sense of unity in the biblical story is actually given in a number of narrative summaries found in both Testaments. These examples indicate that throughout Scripture there is a sense that the individual parts of the story are directly related to the overarching whole and to read the Bible well is to always be aware of the larger narrative (or story) connections. So, how do we read Scripture with the “big picture” in mind? A fundamental step is to keep a balance between the individual parts and the overarching narrative whole. Practically speaking, any one passage must be read not only in its specific context (history and literature), but also as the next episode in God’s grand story of redemption. With this challenge in mind, a common element in biblical theology (the attempt to read the Bible as a whole) has been to identify a common theme running through the canon—from Genesis to Revelation—that acts as an overarching plumb line around which the particular details of the Bible can be situated. Perennial contenders for the organizing theme of Scripture have included: covenant, kingdom, promise and fulfillment, and the glory of God, among others. The strength of such an approach lies in the ability to move from parts (inductive study of individual passages where the theme appears) to the whole (an appreciation of how each individual passage fills out the bigger picture of Scripture). The problem with the approach, of course, is deciding which theme is the central or primary theme that unifies the whole. Finally, reading the Bible with the “big picture” in mind is much more than a good hermeneutical skill or approach. The ultimate goal of reading Scripture with the overarching narrative in mind is to grow into the image of Christ. Augustine’s warning is apt: “So if it seems to you that you have understood the divine Scriptures…in such a way that by this understanding you do not build up this twin love of God and neighbor then you have not yet understood them” (Teaching Christianity, 1.36). Thus becoming sensitive to reading the Bible in the context of the “big picture” finds its ultimate end by hearing the proclamation of Christ the Savior King and responding to him in faith and repentance.